Jeffrey Shohet served as lead trial counsel in Spectrum Sports v. McQuillan, which was appealed to the U.S. Supreme Court and resulted in a landmark decision on attempt to monopolize. Shohet argued the case for respondent. 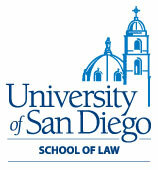 In 2008, the San Diego Lawyer recognized his work on this case in an article entitled "Supreme Confidence," noting that the previous time the court had granted review on this issue was in 1905. Jeffrey Shohet practices in the areas of antitrust and complex business litigation. He is listed in The Best Lawyers in America, the Annual Guide to Bet-the-Company Litigation, Corporate Counsel and Southern California Super Lawyers for his significant accomplishments in those practice areas. DLA Piper's Antitrust practice group, of which Shohet is a member, was recently ranked as the No.1 Antitrust Litigation practice by Martindale-Hubbell, according to the total number of antitrust cases in which we have represented clients in US Federal District Courts during the prior two years. In addition to his work in the courtroom, Shohet represents and counsels clients on a variety of antitrust matters, including merger transactions, pricing and distribution issues, standards setting, ventures and other competitor collaborations, licensing and intellectual property matters and government investigations. Shohet regularly conducts antitrust compliance and audit programs for clients. Shohet has served in a leadership role in a variety of practice-related organizations. During his term as vice chair of the antitrust section of the California Bar Association, he served as editor and co-author of California Antitrust Law, a leading treatise on state antitrust law. He has also published articles and spoken at numerous seminars and regularly appears on television and radio discussing antitrust issues of national interest. Shohet's comments on prominent antitrust issues have appeared in the Washington Post, Wall Street Journal, Seattle Times and other publications on issues of public interest in the antitrust area. 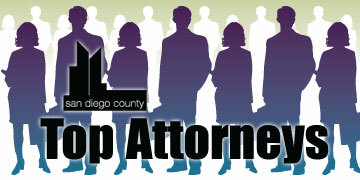 He has been named a San Diego Super Lawyer.